Paris is the city of love and lights! It is a romantic destination that is loved and revered by the artist's world over. With its exquisite artistic streets, numerous museums and amazing landmarks Paris is a worth seeing place. 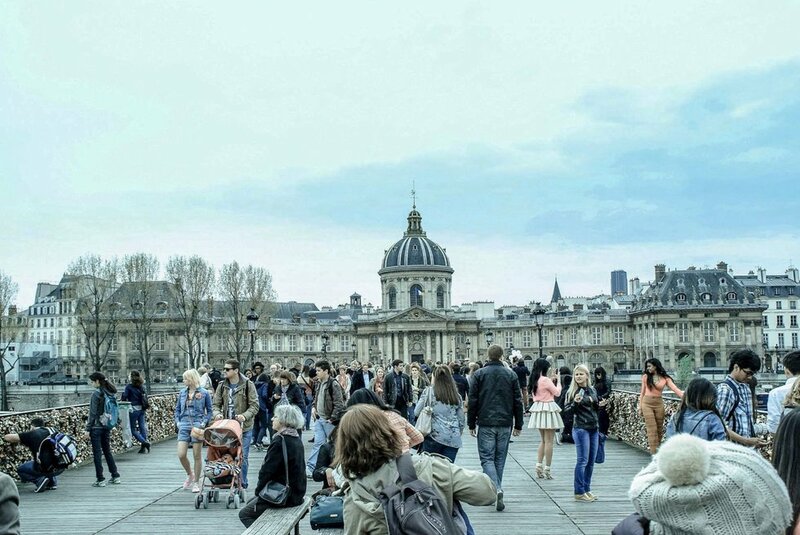 Paris sees a huge influx of tourists throughout the year and this is why it is one of the most expensive places to plan a tour too. If you want to be on budget, then you cannot be travelling in taxis and travelling in taxis is not fun either. You should hop on to the Paris Open Bus tours, they are nominal and you can roam around the whole of Paris without causing a dent on your pocket. There are three varieties of Hop on Hop off bus tours, Paris'LOpen Hop-on-Hop-off Tour, Big Bus Hop-on Hop-off tour and Foxity BusHop-On Hop-off Tour. The charges for these buses range from the price of 33Euros to 18 Euros for a day. You can easily hop on at various attractions and hear stories about them in more than 6 languages. These buses are of great value regarding money, but if you are looking for further cheaper options you can always opt for the Metro pass that costs 14 Euros. Majority of these hop on hop buses allow one child under 11 years to travel free of cost. Eating inside a restaurant is considered quite lavish and therefore it can cost a lot of money. There are numerous supermarkets, from where you can purchase food, or raw material to make sandwiches yourself. Buying from stalls or patisseries can cost you from 4Euros to 9 Euros and it would also include a wine. If you want to enjoy a restaurant meal and then eat it outside, you will be charged less. Many restaurants offer composite deals. You can easily find these restaurants from Trip Advisor, Romewise, Hostel World and easily seek restaurants that offer between 4$-10$. Opt for these meals and you will be paying between 9Euros to 15 Euros for a meal per person. Paris is divided into 20 districts. If you want to locate a reasonable accommodation in the 1-9 districts then you will save a lot of money in commuting as you can literally walk to most of the famous attractions. It is advisable to avoid the 8th district because it is bit expensive. If you are looking to save money in accommodation then you can always stay outside the main central city. There is a lovely hotel by the name of Hôtel Léonard de Vinci where you can stay by paying under 70$ a night! Hôtel Regyn's Montmartre is another hotel that is under 65$. There are many inexpensive hotels that can be stayed in and cost under 80Euros. The cheap hotels have amazing services and therefore you should not fear them! • Musée d'Art Moderne: It is a modern art museum which has some of the best pieces of art in the world. • Notre Dame Cathedral: It is a medieval Catholic cathedral and houses some ancient artefacts. • Aréne de Lutéce: This site is all about the very famous remains from the Roman era. • Hotel des Invalides: It has museums and other artefacts related to the French military regimes. • Maison de Balzac: The museum is situated in the house of writer Honoré de Balzac. • Maison de Victor Hugo: This museum is situated in the house of the writer Victor Hugo. • Musée de la Vie Romantique: It is a museum built in the house of artist Ary Scheffer. • Musée Curie: It is a museum that focuses on the radiological research of Madame Curie. • Musée du Parfum-Fragonard: An olfactory paradise. This is a museum of perfumes. There are a lot of tour companies that offer amazing walking tours. They have a limit to some people who can join, therefore you need to be an early bird to avail this amazing opportunity. 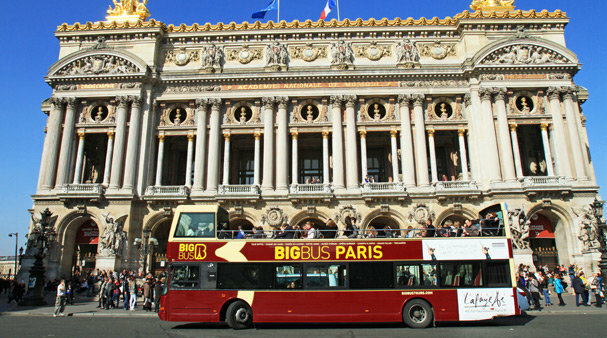 You can find some of the best Paris Sightseeing Tours through simple bus rides. You can buy a simple ticket for one of the public buses and then visit the tourist's sites, without being time-bound. Each of these buses has a route and you can easily find their routes on the site. Louvre: It can cost 15 Euros. You can save by visiting Wednesday and Friday nights or the first Sunday of the month. Eiffel Tower: An entrance ticket costs 19Euros. If you walk to a certain level, you can save as much as half the ticket cost. Arc de Triomphe: The cost is 12 Euros, and you can save the cost on the ticket if you visit at night. Notre Dame: The cathedral is free but if you are willing to visit the bell tower than it costs 10 Euros. Going early in the morning, you’ll get some early discounts. Palace of Versailles: You can get a Versailles Passport for 20 Euros and that is going to be a good bargain. Museums have first Sundays free. 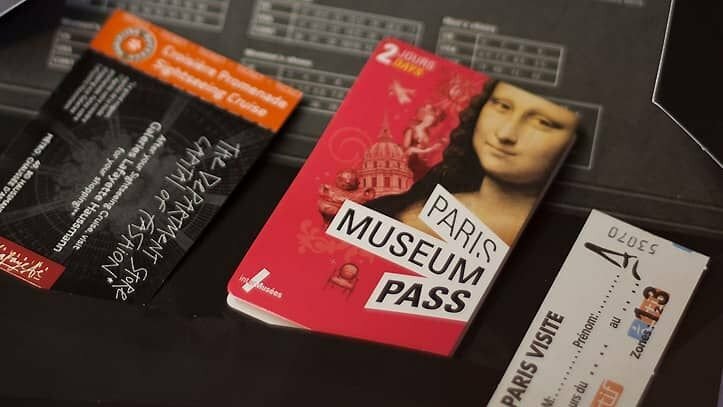 You can make use of that opportunity or buy a Museum Card, it gives you access to numerous discounts for museum entrance and token stores within. Centre Pompidou: Admission charges for adults are €13, children under 13 are free of cost. Louvre: Adults are charged €11 and visitors under 18 years can go for free. Musée Carnavalet: Free of cost for everyone. Musée d'Art Moderne de la Ville de Paris: Free of cost for everyone. Maison de Victor Hugo: Free of cost for visitors. Musée de la Vie Romantique: The entrance is free. Musée d'Orsay: Adults are charged €9 and people between the ages of 18 and 25 years are charged €6.50, less than 18 years of age can go free. Musée Rodin: Admission charges for adults are €9, people between 18-25 years are charged 5€, visitors under 18 are for free. Petit Palais: Free for all. When you are sightseeing always carry water with you. You will find numerous water fountains where you can refill your water. Small street vendors will try to convince you to buy it from them. Always keep your money distributed and normally on your person instead of bags. And use front pockets rather than back pockets.